On July 17, 1938, an American pilot named Douglas Corrigan landed his single-person plane in Dublin, Ireland after departing from New York over 28 hours earlier—heading for California. Corrigan claimed (until his dying day, in fact) that his error was due to a combination of heavy clouds and misreading his compass, though few believed him, not least because he’d been trying to get permission to fly to Dublin for three years and aviation authorities had repeatedly turned him down. As punishment, officials suspended his pilot’s license for a mere 14 days. Corrigan returned to the United States on a steamship, along with his crated-up airplane, arriving on the last day of his suspension. By that time he had become an international celebrity, and was honored with ticker-tape parades in both New York and Chicago. The nickname “Wrong Way” stuck with him for the rest of his life, and he was both the subject and star of a 1939 movie called The Flying Irishman, based on his adventure. 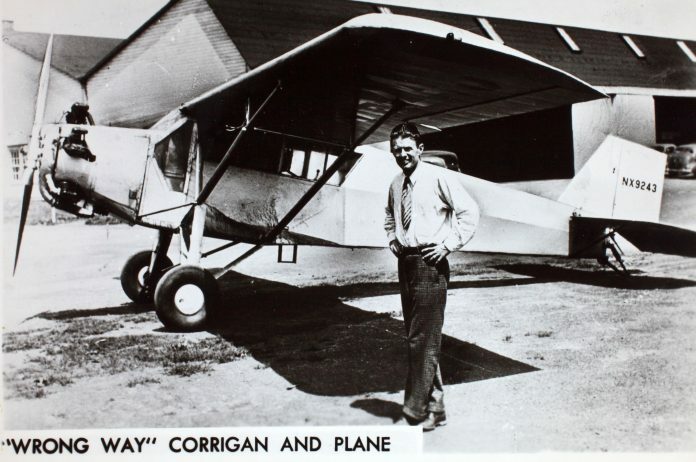 Whether or not Corrigan went the wrong way on purpose, this stunt resulted in both fame and fortune (not to mention getting to fly to Dublin, which had been his goal in the first place). So let that be a lesson to you. If you’re going to screw up, do so as boldly as possible.